The wonderful thing about Crab Seniors is that it began simply as an experiment to shoot underwater, but has over time turned into a long term and an ongoing project. Michelle Chan fell in love and decided there was a story she wanted to tell. A project that came about (and is growing) organically became a beautiful representation of life of senior citizens that happens every morning at one particular pier in Hong Kong. "At Wu Kai Sha, a pier which appears to be like another other beaches in Hong Kong, comes alive at 6am every morning. The ocean is filled with seniors from around the neighbourhood or even across town. 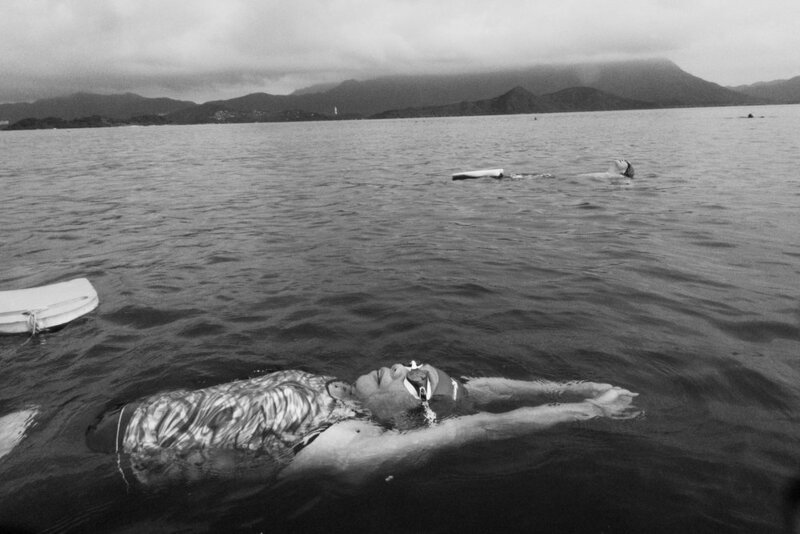 Some go there to swim to keep up with their physical mobility, some go to train for triathlons and ocean marathons, some don’t even know how to swim but bring a float board with them so they can do stretching in water, some go there to connect and chat with new found friends, and some take their grandchildren there and teach them swimming. This pier has a Chinese nickname – 蟹伯樂園 – it means a waterpark/playground for the “crab” seniors. And at 6am, the sea is filled with them which looks like lots of crabs swimming in the ocean." 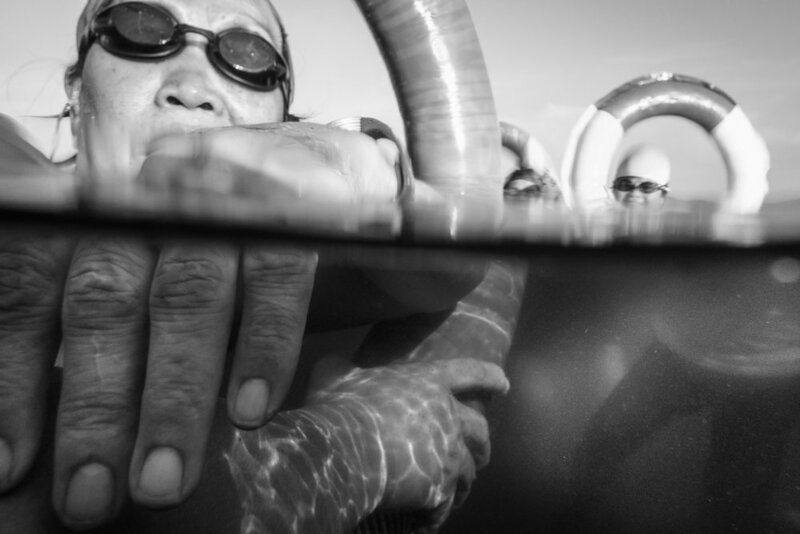 "2016 was when I began the series, I was teaching a family friend to swim as preparation for her triathlon competition. 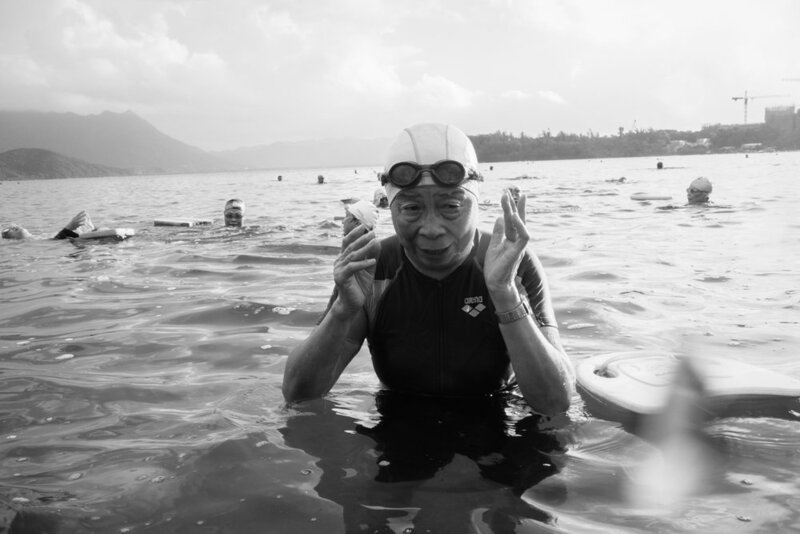 Through our conversation, she told me how she trains - there's a route near her home where she can run or cycle for around 10km and it reaches a pier, where she swims for 1500m - that's the pier of the Crab Seniors. The reason I kept revisiting is quite simple. I was obsessed - with the people, with the nature, with the new experiments I can do with underwater shooting. It was a window to a whole new world." "I'm hoping one day there can be a book or an exhibition. Right now though I'm just focusing on extending the scope of the project. 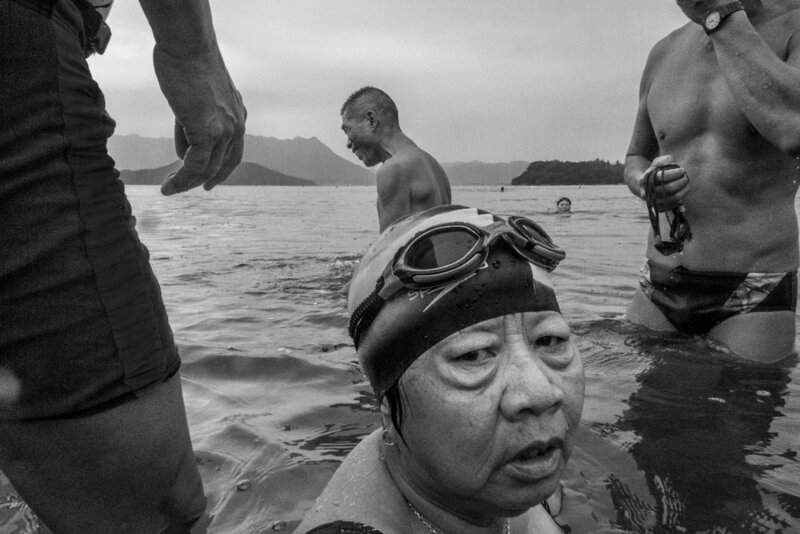 This year I've been exploring the lives of the Crab Seniors outside swimming. "I think you have to know and keep doing what you really care about, and then let chances happen. The interesting thing and the main difference between photography and writing or painting or composing is that it doesn't work by just sitting in a vacuum. You have to interact with the world to make pictures. So go out and interact." Wan Chee (Michelle) Chan is a visual storyteller. She works mainly with photography. In 2018, she began working with different artistic medium combining poems, visuals and sounds to create imagery that tell different stories. Her work has been published and featured in PhotoVogue Italia, National Geographic, Wild Dog in Paris etc. They have also been exhibited in some of the major places in Hong Kong such as Hong Kong Arts Centre and Hong Kong Convention and Exhibition Centre, and internationally including Berlin, Budapest, Dublin, Siem Reap, Taipei and Toronto etc. In 2017, she had her very first solo exhibition in Kubrick Hong Kong for her series "A Tale of City Hong Kong". She is currently based in Hong Kong and more of her work can be found on her website and Instagram.